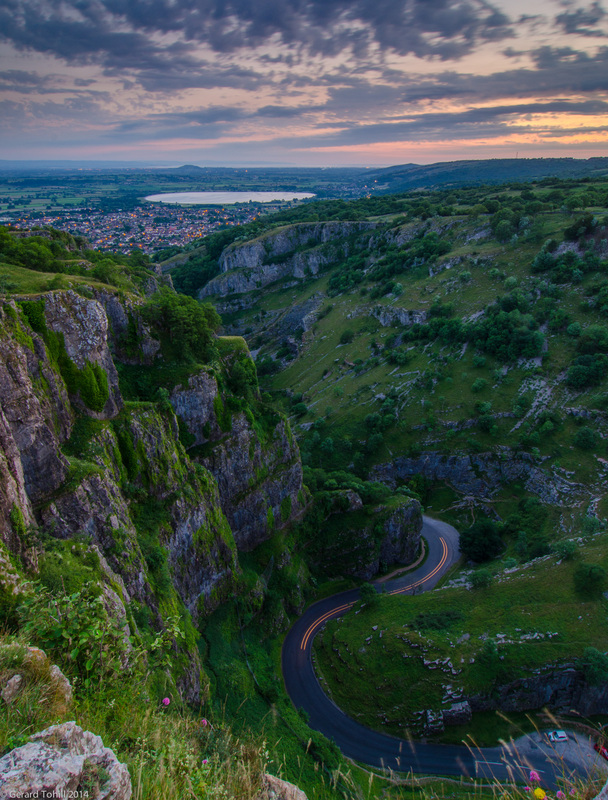 Following on from my earlier image of Cheddar Gorge, I realised that, once the sun had set and the gorge itself fell deeper into shadow, I had a really good chance of capturing a light trail as the cars drove up and down, and so it proved. I had to wait until 5 minutes to 10 to get this image, but I think it was worth it. Photography stuff: 12-24mm lens at 12mm, 13 seconds at f/13, 3 stop graduated ND filter to hold back the sky, tripod, remote release.